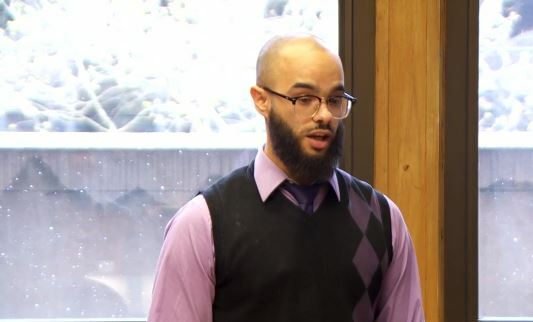 Frederick Harmes-Sorrell never knew how much his hateful words and conduct would impact the Muslim community. 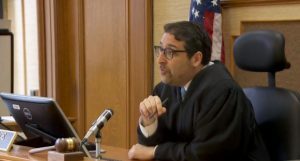 “His actions and his choices were frankly very ugly and vile,” Multnomah County Deputy District Attorney BJ Park said on August 3, 2018 at Harmes-Sorrell’s restorative justice sentencing before Multnomah County Circuit Court Judge Benjamin Souede. On May 29, 2017, Alekzandr Wray drove his wife Jaminah Shannon to a medical appointment in Northeast Portland. Ms. Shannon was wearing a Niqab. “Take the (expletive) burka off,” Harmes-Sorrell yelled at Ms. Shannon from his driver side window. The insults frightened Mr. Wray and Ms. Shannon. They tried to slow down and let Harmes-Sorrell pass their vehicle, but he responded by also slowing down, keeping pace with them and causing further alarm. Ms. Shannon called 9-1-1 as Sorrell continued to yell at the couple for several blocks while occasionally swerving his vehicle toward theirs. Ms. Shannon reported she feared Sorrell would hit them or run them off the road. 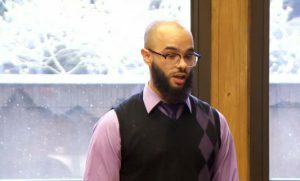 At a stoplight, Sorrell dangled his body from his window and used both hands to mimic, in a very demonstrative fashion, shooting a gun at Mr. Wray and Ms. Shannon. Sorrell “shot” multiple times and then “disappeared” back into his car. At that point, Mr. Wray and Ms. Shannon feared he could be accessing a real firearm and worried that he would shoot them given his extremely charged and threatening behavior. 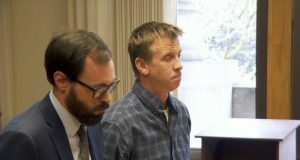 A Multnomah County grand jury indicted Harmes-Sorrell with three counts of intimidation in the second degree, which is one of Oregon’s two hate crime laws. On the day his trial was supposed to start, Harmes-Sorrell pleaded no contest to two counts of intimidation in the second degree. 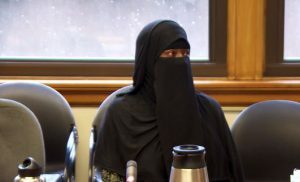 Ms. Shannon spoke to the court that day and described the impact Harmes-Sorrell’s actions had on her, her family and the entire Muslim community. She described being terrified. Mr. Wray and Ms. Shannon demanded accountability. They wanted Harmes-Sorrell to take sincere action, participate in training and to have real life interactions with the Muslim community. “My hope is that Mr. Harmes will take full accountability and try to come to some peace with himself and make amends with my family and the Muslim community,” Ms. Shannon said at the change of plea hearing. 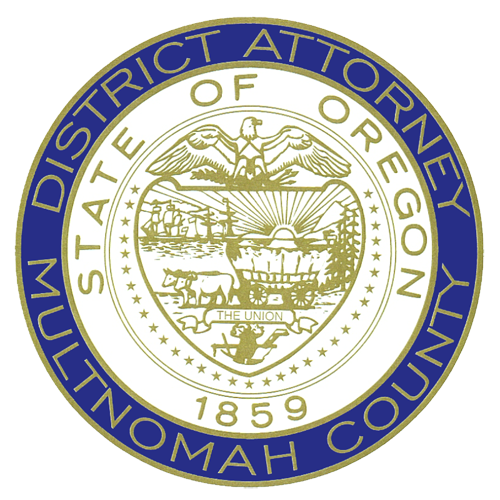 The Multnomah County District Attorney’s Office worked closely with Mr. Wray and Ms. Shannon, the Multnomah County Department of Community Justice and the Council on American–Islamic Relations to recommend a sentence that would emphasize repairing the harm caused by Harmes-Sorrell’s criminal behavior. 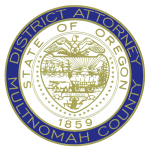 “Here in Multnomah County, we want to have not just justice but restorative justice, where all parties, including victims, defendant, and society are restored and healed,” DDA Park said. DDA Park presented Judge Souede with a sentence that the District Attorney’s Office believes achieves those goals. Judge Souede said Harmes-Sorrell failed to provide even the slightest level of fairness and tolerance when he came upon Mr. Wray and Ms. Shannon. Judge Souede recognized the profound damage that was done to Mr. Wray and Ms. Shannon and the entire Muslim community. He credited the District Attorney’s Office with coming up with a restorative justice-based sentence. For his part, Harmes-Sorrell told the court when this incident happened, he had “a lot of turmoil” going on in his life. Judge Souede followed the sentence proposed by the State, which had also been endorsed by Harmes-Sorrell’s defense attorney. No need to write an apology letter since he already apologized in April at the change of plea hearing.